On a mission to help forge the best instructors in the martial arts world. 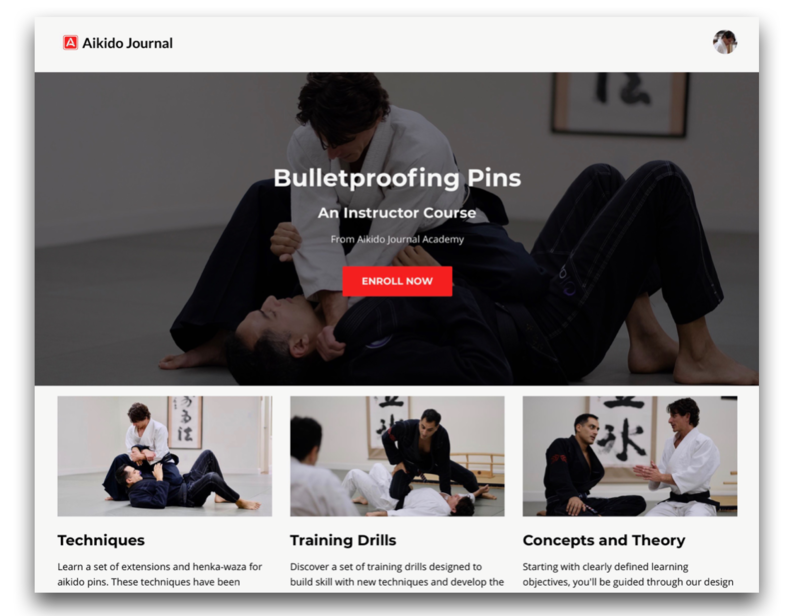 With a full 40% of our community as instructors and over 60% with 10+ years experience, we believe a high-impact area for Aikido Journal to focus on in the near-term is instructor development. 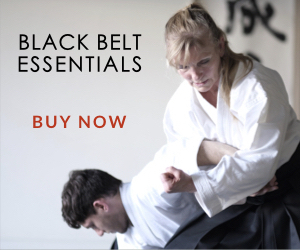 We want to help aikido instructors be the best teachers and leaders in the martial arts world. As a community, we have everything we need. We have great aikido masters with powerful knowledge and insights, subject matter experts outside the aikido world willing to support us, a new and powerful digital communications platform with massive reach, and a legion of instructors who are thoughtful and intelligent with true passion and dedication to the art. Aikido Journal Academy will help us learn from each other more efficiently, share best practices, avoid mistakes, and support and accelerate each others’ development. If our instructors keep leveling up, our dojos will be healthier, practitioners will become more skilled, and our communities will grow larger and stronger. We don’t know how the Academy will evolve over time or what it will look like in ten years. However, we do know how it will start and what its first programs will be. The Academy will start by creating a series of next-generation instructor courses focusing on targeted, high-impact topics. Our programs aren’t designed to replace the direct training instructors get from their mentors and organizations, but rather to supplement and complement those efforts. We don’t expect these courses to be a panacea for all of the challenges we face in the aikido world, but we do believe they can build community, broaden perspectives, stimulate new ideas, and help us be better instructors and dojo operators. Additionally, as we continue to explore other community support initiatives, this is something we can do right now. In the beginning, Aikido Journal Academy will design and produce focused courses in collaboration with a master or expert(s). We’ll prioritize course topics based on community feedback (starting with the poll at the end of this article). We will invest heavily in curriculum design and work with course instructors through a multi-week iterative process to develop each program. Initially, our instructor courses will have both a live and online component. The live seminar is not designed to maximize reach with the greatest number of participants. In fact, it’s quite the opposite. Each seminar will be limited to a very small number of instructors (learn why below). The online course, however, will be designed to maximize reach and accessibility in order to ensure that the essence and value of each course is available to everyone who wants to benefit from it. 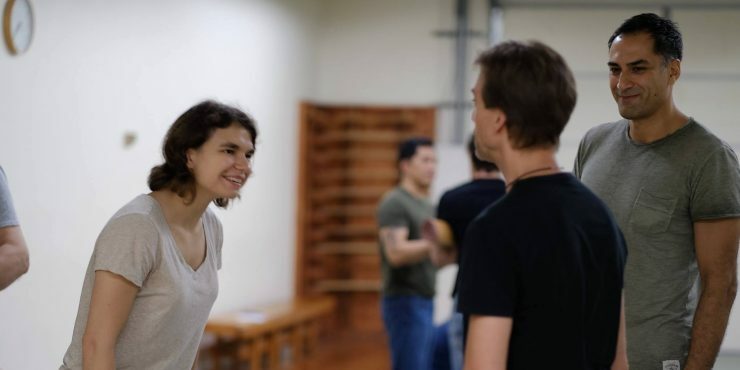 Just as important as skill building for instructors, we want these courses to help leaders in the aikido (and broader martial arts) world forge new friendships with each other and build stronger communities and high-value networks. We need to be on the mat with instructors to get feedback and find better ways to support each other, solve problems, and learn and grow together. For each course Aikido Journal Academy develops, we will host an instructor seminar with a leading master or subject matter expert. These seminars will build targeted skills, empower instructors, cultivate friendships, and open doors for future collaborations and knowledge exchanges. With well-defined learning objectives announced up front, instructors can determine if they have an interest in building knowledge and skill in a given area before committing their valuable time to an event. These seminars will be designed for instructors and chief instructors. We will target a maximum of 15-20 attendees to ensure that each participant gets substantial focus and attention from the course instructor(s). Prior to the seminar, participants will be asked to commit to preparatory work designed to maximize the impact and efficiency of the event. Every instructor will be asked to provide a bio and answer a set of profile questions. We’ll use that data before the event to fine tune curriculum, structure discussion topics, and facilitate important connections between attending instructors. Participants may be asked to watch videos, read books, or even drill targeted movement patterns or techniques to sharpen a key skill prior to an event. Full Day Seminar: These will be single full-day events, hosted at dojos across our community. The seminars will include focused training sessions, presentations, and a moderated discussion at the end of the day to discuss important issues and find ways to support each other, as well as identify and solve key problems. Professional Photography: We’ll have a professional photographer at every event. Examples of our photojournalist’s work are here. 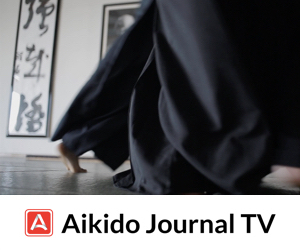 Follow-Up Livestream: One month after each seminar, Aikido Journal Academy will host a livestream with the course instructor to field follow-up questions and comments from attendees after they process the seminar curriculum back at their home dojos. This format was inspired and informed by feedback from a highly successful instructor seminar format designed and run in the summer of 2017. Led by Josh Gold and Roy Dean, a jiujitsu expert and aikido black belt, our first prototype of this seminar format drew an exceptional and diverse group of instructors. With participants both higher and lower in rank and experience than the course instructors, our group included representatives from numerous organizations and styles. For each course / topic, in conjunction with hosting a live instructor seminar, we’ll produce a next-generation online course available to everyone. These will be comprehensive, modular programs with professionally produced video, technical commentary, and instructor guidelines and tools. Our course format is designed from the ground up to leverage best practices for maximizing the effectiveness of online learning. Courses will generally contain 30-40 modules and will cover a focused topic in great depth. 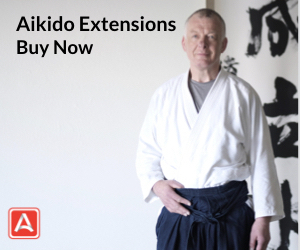 Each live seminar participant will get a free copy of the online course and will be part of the review/beta testing phase for their course before it’s officially released on Aikido Journal. With a reference model already in place for the live seminar, the most efficient way to get a complete proof of concept in place (live+online course) was to create an online instructor course based on the live seminar Josh and Roy collaborated on over the summer. With Josh and Roy producing the course together, they could play the roles of both the instructors and the event and content producers. This allowed us to make rapid progress and go through a series of iterations before finalizing a format. We learned some painful lessons along the way and invested more time and resources into its development than we wanted, but we refused to compromise on quality or vision. Our first course, Bulletproofing Pins, is now in final testing and review stages. We have a select group of senior instructors in the aikido world reviewing it now. Later this week. we’ll share more about the Bulletproofing Pins course and the story behind its creation. We’re now planning our course program for 2018. We’re looking at a range of course topics and leading experts to collaborate with. Hi Josh, I would like to ask some questions and perhaps offer some of my own experiences and thoughts (for what they are worth) with regards to your previous post about the decline of aikido. What is the best way to do that that does not put what I have to say directly into a public dialogue? IE: is there an email that I can send something to? ps – I think your research is spot on and your presentation is great, I just dont like public conversations. Hi James! I’d love to hear from you. If you send an email via the link in the footer of the AJ website, I’ll be able to get it and will most certainly read your comments. Thank you. 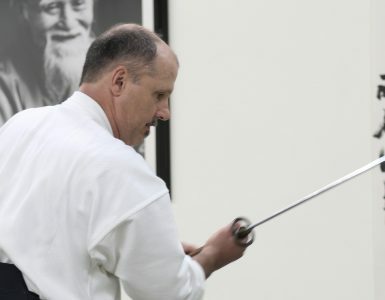 Many of the difficulties experienced by students of Aikido and the associated bad press can be traced back to a lack of understanding of Aiki, the initial unbalancing element of a technique. I believe that the reputation of Aikido as a martial art can be significantly raised by teaching Aiki in the early stages of a technique. Most, if not all sensei, have internalised Aiki by osmosis. This makes it difficult for them to explain, verbally, that all important knowledge to students. Consequently, learning Aiki based techniques has been problematic, as a failure to unbalance the opponent will undermine the whole technique. As a scientist, my interest in Aiki started over twenty years ago with the aim of understanding what is Aiki and, is it the same in Aikido and Aikijujutsu? The results of this work has been published in a book titled:- The Principle of Aiki and its Application in Aikido and Aikijujutsu which is available on Amazon. This book would provided a technical reference for the teaching of Aiki. This approach to the modern teaching of Aikido, in my opinion, could be incorporated into the next generation of instructor development programs you are launching. I agree with the above and have been researching aiki since 2000 (took me 20 years, since 1980, to wake up). 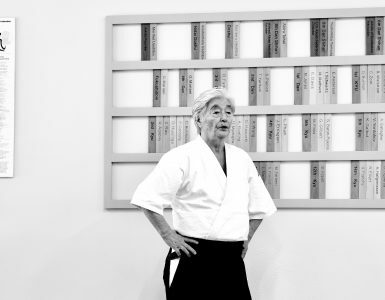 Highest thanks, Gold Sensei, for continuing Stanley Pranin’s extraordinary legacy. R. Kravetz, Sandan, Fukushidoin. Student since 1975. Glad to read about this very interesting Academy. As for me, I’m not an instructor (yet), but anyway, I’ll be happy if I can have access to the outputs generated by the different seminars. Two weeks ago, I had the opportunity to train with a boxer, and the goal was for me to realize good defense against his punches, and counterattack if possible, it was really enjoyable, and I learn a lot. It has been my pleasure to meet you and express in person my excitement surrounding the new launch of the Aikido Journal. I am aware of the decline of interest in Aikido, and do feel there is a pressing need to invigorate the very special art we practice. I am concerned that the Aikido Journal Academy, as you describe it, will not best serve these goals. I question your mission “to help forge the best instructors in the martial arts world”, through a number of “courses”, online and real. Intentional or not, you seem to imply that existing Aikido teachers and students need something they don’t get in their home dojo, which your curriculum can provide. And along these lines is an implication that this “deficiency” in instructors is related to the decline of Aikido. As an Aikido teacher, what I do every time I teach is help forge the best instructors. That is what my Sensei, Sensei Shuji Maruyama, does every time he teaches. This is what every high level Aikido Sensei, from every Aikido style, does every time they teach. This is the “do” of Aikido, and it happens through our ritual practice in the dojo and beyond. I do not have issues with you, as an Aikido instructor and through your own dojo, presenting the Academy and bringing in guest instructors. But aligning it so closely to Aikido Journal feels like a blurring of roles, and, given my above wish list, a missed opportunity. If we wish for Aikido to grow, we need to celebrate and honor each other, we need to unite, and we need to all be part of a creative conversation on how best to grow Aikido. Josh, I honor your energy and passion – please forgive me if my writing seems harsh – as you have written, this is a critical time for Aikido. We need to openly discuss what is best for Aikido. I welcome the larger community’s thoughts and response to what I am writing. 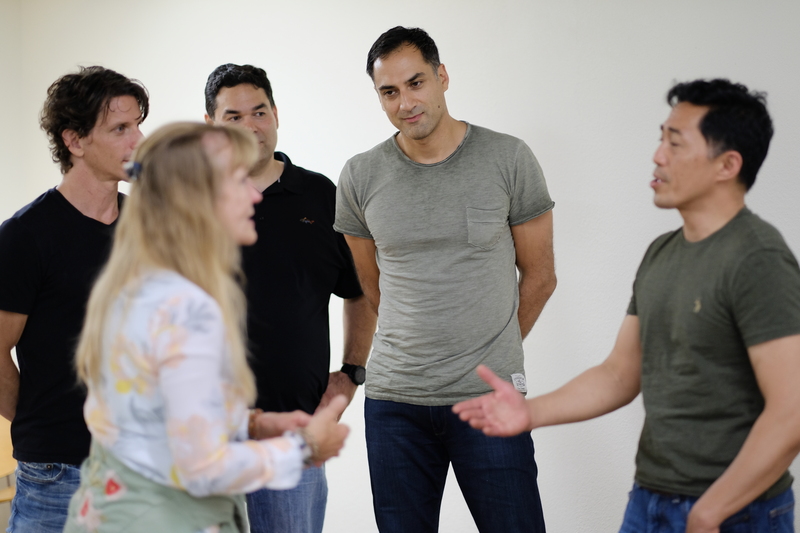 We could be totally wrong with our approach, but so far we’ve received quite positive feedback from instructors at many experience levels, both from independent dojos, dojos in small organizations, and from large organizations. Right now, we have enough confidence in this direction to move forward but at every step along the way, we will question our assumptions, take a hard look at results, and be prepared to adapt and change course. In regards to your comment about a blurring of roles – I totally see your point here and I thought about that when we developed our first course. 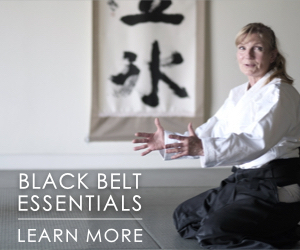 Our ideal first course release would have been filmed with high-level shihan at a different dojo within our community. However, as a pragmatist and someone that has some experience designing and scaling programs and high-complexity projects, I decided that the best way to move forward was to start with what we can create most efficiently, learn from that process, and then adjust and enhance after getting community feedback. Now we’re smarter though and know how to execute efficiently in this context. We are already in final planning stages for our next courses – which will likely have the live seminars and filming hosted at a different dojo and will feature top instructors and specialists with far deeper experience levels than I. Thank you again for the constructive and insightful comments. I don’t find them harsh in any way. The feedback is honest, respectful and well thought out. I’m always thankful for this kind of feedback, even if I don’t always get the time to thank or respond to each thoughtful comment. Thanks for the thoughtful reply. I am open, and do enjoy mixing it up on the mat. I hope you are successful in attracting top instructors with a range of Aikido techniques and approaches, and I hope your efforts grow Aikido. I am happy to participate. What I have mainly picked up on is my assumption/perception that all the seminars will occur in America. I would say that is reasonable to start with. I also assume that members to Aikido Journal come from all over the world. Thus, I would like to see a plan for seminars to be held world-wide. Hi Warren! We’d love to do international seminars but will need to start closer to home first since all of our logistical support is here. We hope to look at hosting some international events in the not too distant future though. Thanks for your input and I hope to meet you in person sometime soon. Out of curiosity, is there any intention to revive the publication of books that are now out of print like the Takemusu Aikido series? There are also several interesting books printed only in Japan that would no doubt be of interest to Aikido practitioners worldwide, I would even be interested in working to help translate if that’s something that’s needed. I like the subscription model for the videos, but I really prefer to have a paper copy for books. Were the books not a profitable enterprise for the old Aikido Journal perhaps? With today’s options for publication it might be easier to keep costs down. Hi Joseph – we are actually giving away downloadable copies of AJ books to Aikido Journal TV subscribers via digital gift boxes. We already have made a few books available for download for sub scribers including Vol 1 of the Takemusu Aikido series, Pioneers of the Pre-war era, etc. We plan on continuing to release books in this way for subscribers throughout 2018. At some point, we may sell them separately, but for now we just want to our subscription / membership service as the platform for accessing all of the content in our video and e-book collection. We currently have no plans to produce physical books to sell. However, almost any print shop can take a PDF copy of an e-book and create a nice looking color copy with a nice binding. I also prefer to read a physical book but the demand for such things is quite low now and the complexities associated with book printing and inventory management make it impractical for us at this time.